_Chris Jones! Picking the winner of this contest was not an easy task.… We had so many amazing submissions, it was so hard to choose. At the end of the day, Chris Jones stood out as a favorite for his originality, creativity, and level of awesomeness! Thank you to all that entered, we’ll be sending the remaining top 10 consoloation prize packs from LF, Alliance, and KCW. Chris is the big winner, as we’ll be building his rail!! 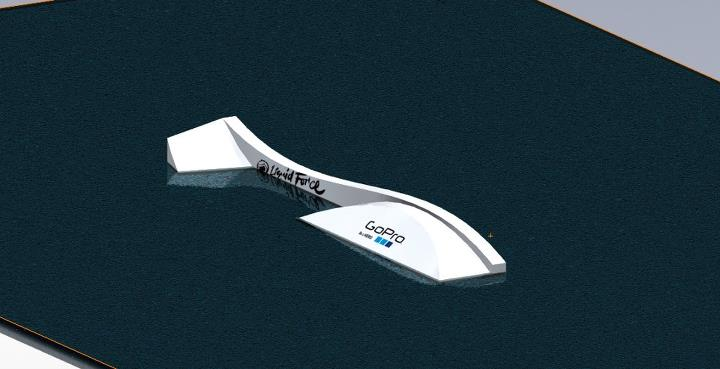 He’ll get a private ride session at KCW with LF pro’s before we unveil it to the public May 11-13 at Relentless Weekend… Chris also receives a new GoPro Hero 2 video camera, a 2012 Liquid Force setup of his choice, and a year subscription to Alliance Wakeboard Magazine! 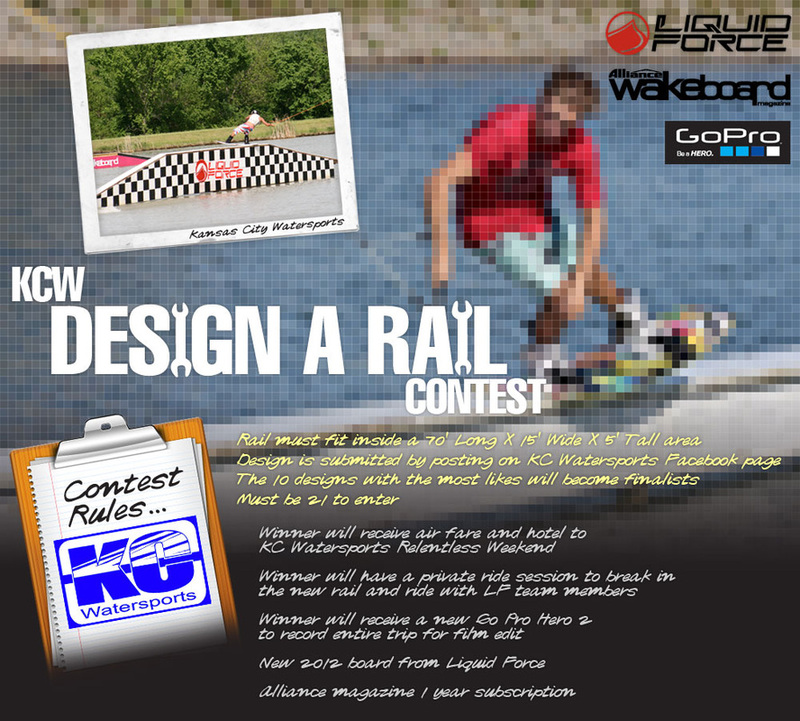 Liquid Force, KC Watersports, GoPro, and Alliance Wakeboard Magazine have teamed up to give you the opportunity of a lifetime! 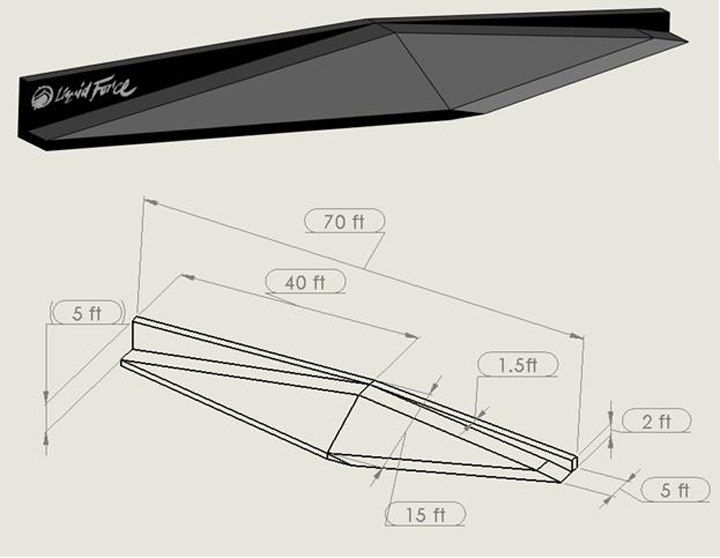 We are looking for one of a kind rail designs to be built and installed at KC Watersports this summer… The Liquid Force A-frame Rail at KC Watersports has been a staple for years, but it has seen better days and must be replaced. We need your help to make it happen! All those rails you’ve been hitting in your dreams, it’s time to put them down on paper and we just may make your dreams come true! 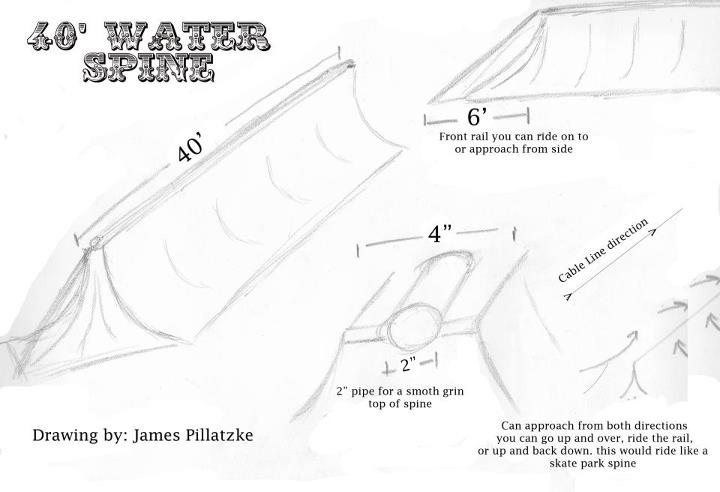 Submit your designs to the KC Watersports Facebook (www.facebook.com/kcwatersports) page by March 31 to win! The 10 designs with the most "likes" will become finalists! 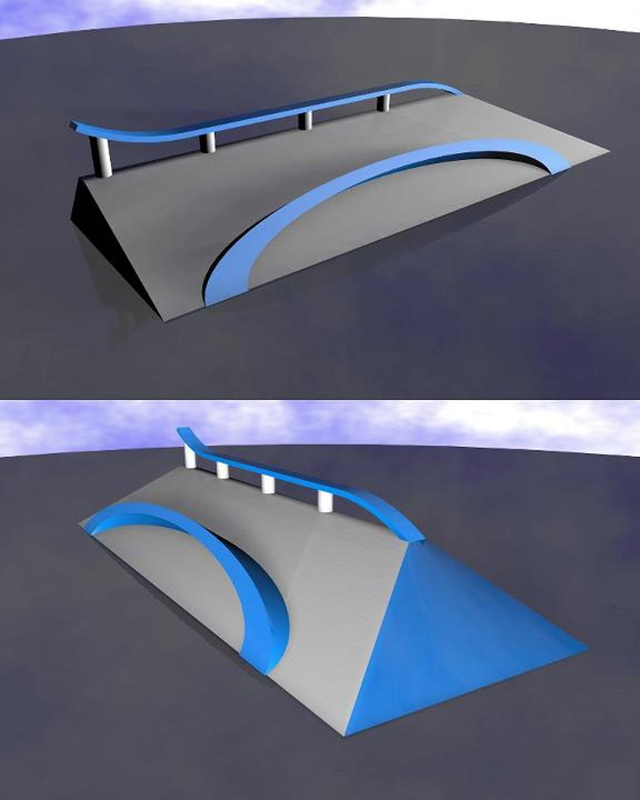 The 1st place winner will not only have his rail concept built, but we’ll fly him/her out to KC Watersports for Relentless Weekend, where we’ll unveil the rail at a private ride session with top Liquid Force teamriders. 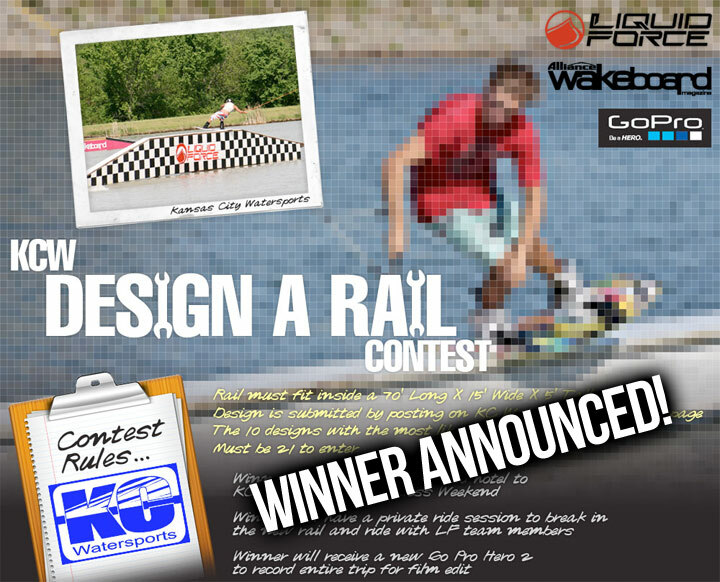 The winner will also receive a new GoPro Hero 2 to document their fun, a new setup of their choice from Liquid Force, and a year subscription to Alliance Wakeboard Magazine! Be sure to tell all of your friends to log on and "like" your design so you can win the trip of a lifetime! Enter as many times as you like! We are loving the entries and all of the great feedback that everyone is giving. We wanted to clarify a few things. Yes the winner will be chosen from the top 10 designs decided by "likes" on Facebook. 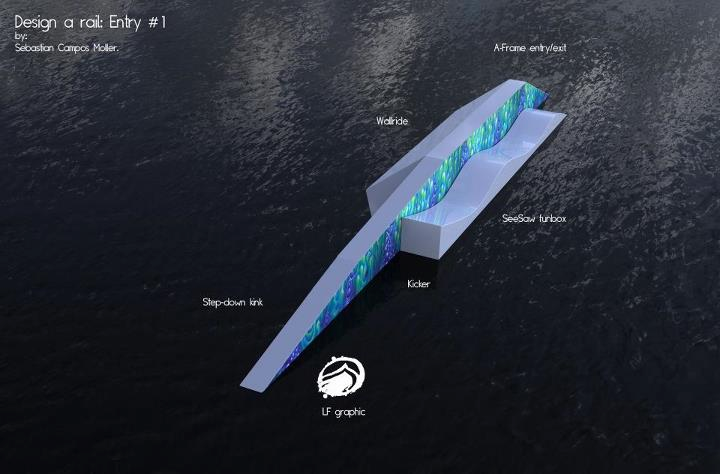 The winning design will be chosen by a panel composed by the sponsors of the contest. While you are designing your rail please do keep a few things in mind. 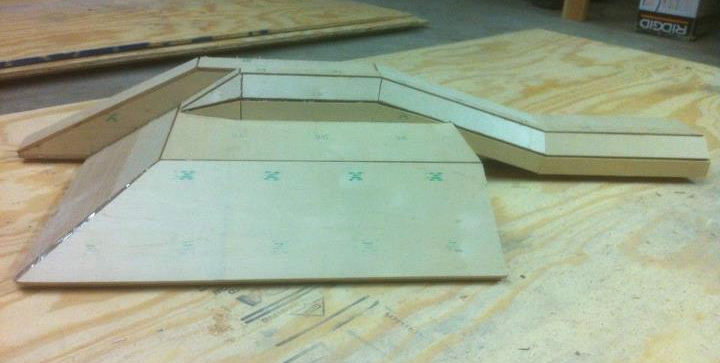 While we did say you dream it we will build it. Remember the second part it must be able to be built.